Have you seen the hashtag #IHaveThisThingWithPink floating around on Instagram before? I'm pretty sure this outfit was made for it!! 😉 I've never felt more pink... or worn an outfit that I think describes my personality or girly sense of style better! I've worn a lot of outfits on the blog in almost five years of blogging, but I think this will go down as one of my favorites of this year, possible of all time! 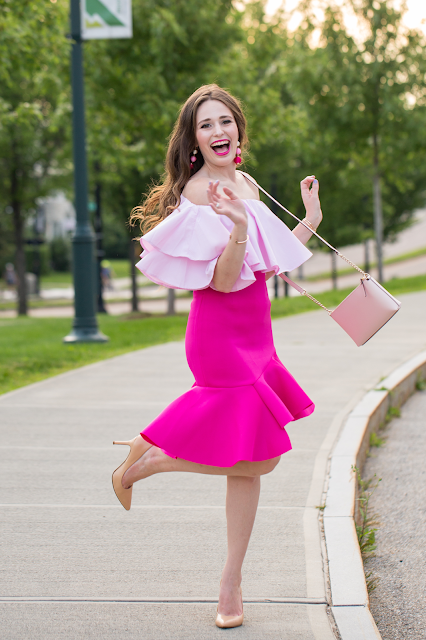 How fun is this hot pink Chicwish statement skirt? It's surprisingly quite comfortable to wear, and how can you not have a smile on your face when you're sporting such a bold and bright skirt?! 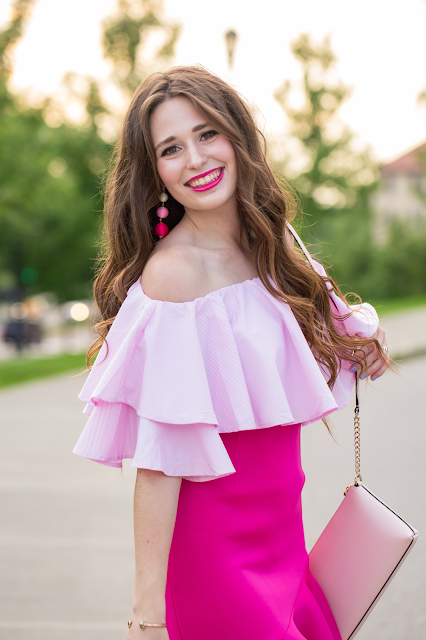 I was worried that it might be a little too much to pair it with my favorite off-the-shoulder top (first featured in this blog post), but I think that they actually compliment each other well, and together form the most perfectly pink look! On the plus side- it is sunny today and in the 80s, and also my day off!! This might not sound like a big deal... but with my current work schedule I only have Mondays off, and Vermont has had an unusually cold and rainy summer. Since beginning work in April, this is my third sunny day off in Vermont that I can remember. (Technically there have been 5 since starting work... as I had sunny Mondays when I was in Montreal and Maine this summer on other days off.) But actual days off spent in here Burlington... this is only the third sunny and warm one! Isn't that crazy?! There have been a few weeks where it is warm and sunny all week... and then 60 degrees and raining on Monday. So I am so thankful for this beautiful day and excited to spend some time by the lake! Sorry if this post seemed like my thoughts are all over the place today- they kind of are a bit! But I hope you enjoyed this pretty pink outfit as much as I did! Both my top and skirt are still in stock so get them while you can! Girl you look amazing in this outfit! Love all of these shades of pink on you! Obsessed with this outfit on you, Annaliese- so cute! I can't decide if I love the earrings or the skirt more! So cute! This is so perfect! I love how you paired different shades of pink together so that the whole look wasn't too overwhelming head-to-toe! I'm partial to pink too! I so hope you enjoyed this sunny Monday! Pink is always such a beautiful color on you, and I love this combination of shades! 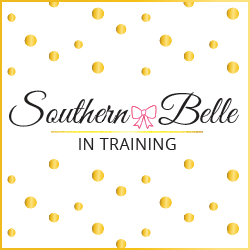 Also excited about your upcoming post, I find that the ones personal to me are the ones I write the best:)! So loving that outfit! Pink is the best color + it looks fab on you! I am in love with this outfit! It is really too cute! ABSOLUTELY love this outfit! I feel like it's so you. So much pink!!! So stinking cute girly! Love the skirt - the shade of pink is gorgeous! Dude this look is seriously so fun! Every piece of this outfit was meant to go together! You are GORGEOUS! I hope you had an amazing day off yesterday. I wish I was able to spend more time outside. I know you feel me on that, though. Working 6 days/week is brutal! So much pink, I love it! Looks like you had a great time during this shoot! Okay I am OBSESSED with this outfit! The ruffles, the pink, it's all SO fun!! I think this might be my favorite look you've ever posted!! I love all the pink and these photos are so fun! I love things with pink, the contrast of pinks are enough to make a dress looks gorgeous. I read about it at http://resume-writing-services.reviews/ site. The lipstick also makes the colors pop out nice and vibrant, good post.